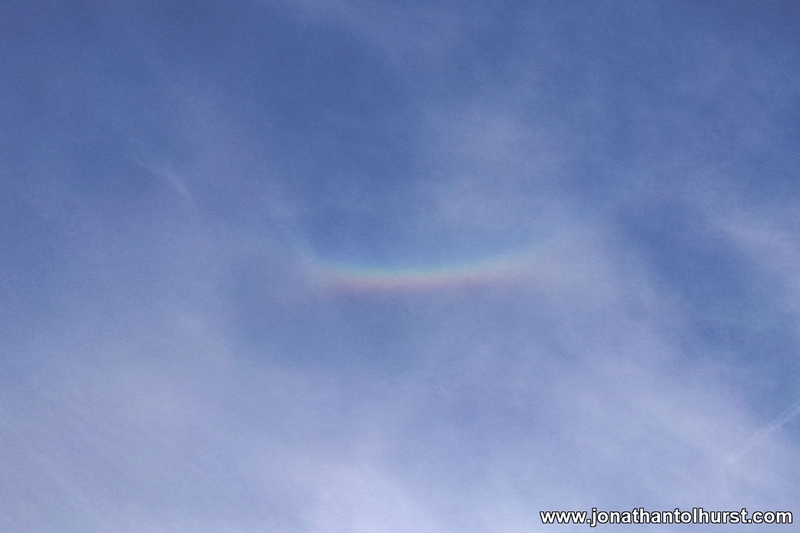 This evening (approx 18:30) we saw this unusual rainbow – a short rainbow directly above us. 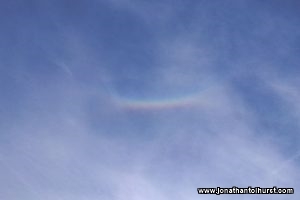 The rainbow occurred within a busy airline flight path. It wasn’t raining at the time.